Interview with Mr Yiyi Dieudonne Nyungho. 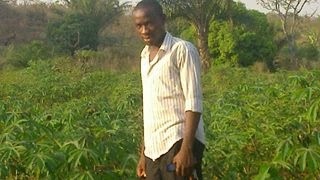 RANSBIZ TV: hello to all , i will like to introduce an industrous cameroonain making the hit in the field of agricaulture. as RANSBIZ always say. you are who you are. let us get to discover him. 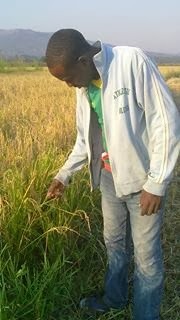 ''If the economy of the country is sick that its find it difficult to employed every body ..then i think we should inverse in agriculture rather than staying and looking for white cola jobs that is difficult to find....my friends i'm investing in this now to see the out come'' Yiyi Jan 2014. 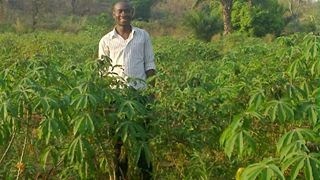 Yiyi: yeah about me, i'm agraduate from government technical high school Ndop,doing Electrical engineering but i find it difficult to be employed in my country and also live is so difficult that i can not continue now with my university program so i engage into farming.I'm 21,I come from Bamenda-Ndop,I'm engage in farming and i m doing the following :rice ,casava, and tomato cultivation. RANSBIZ TV: Wow. really great. I know as a youth youare face with soem challenges .what is your major difficulty ? RANSBIZ TV: That is true. i really like the great step you have taken to make a living while helping to improve on the Cmeoon economy. How can sponsors or investors contact you or even meet you in person? 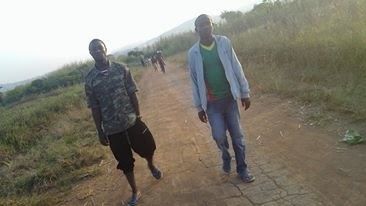 Yiyi: yes any sponsor or investor can contact me in this number:70727463, my email is:yiyidieudonne@yahoo.com,and you can meet me in person right now in Ndop, precisely in Bamunka village..
Yiyi: mr Angu you know every man want to live well and comfortable with what he/she is doing and i think doing algriculture has always been my dream and i m inproving in it .I think i like it and want to continue with it..
RANSBIZ TV: i agree with you. 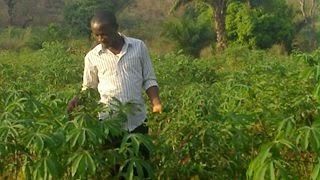 As predicted by The CEO of 25-45 Business consulting , Agriculture is a promising field in Cameroon. What motivated you to be engage in this activity? thank you very much for talking to RANSBIZ TV. We encourage and promote young talents . The founder is a young founder is a young man like you. can this be a sign that the youths want to take the lead in development in Cmeroon? RANSBIZ TV; What will you tell the youths who move about with files everyday looking for employment in big offices and Cameroonians at large? 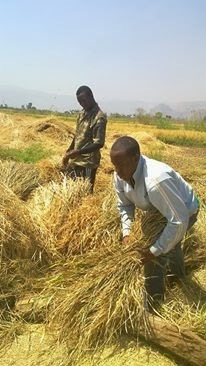 Yiyi: I will like to tell my youths that agriculture is also a means of being self employed .Cameroon is bless with fertile soils let exploit the soils and even help employed others rather than going around looking for white cola jobs that we can not find.With this notion in our head i think we will make it and even make our country amegent by 2035 as our president encourages us. RANSBIZ TV; RANSBIZ encourages the use of computer in all activities. Does the internet assist you in anyway ? 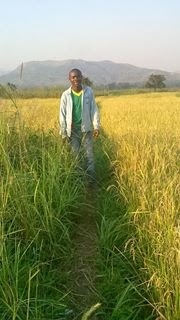 Yiyi: I think internet has help me in many ways and i encourage the use of computers too,it now help me to post my status and even advertise what i'm doing in fact thanks to the internet. RANSBIZ: Thanks once more for the interview . it is a geat idea and we hope you will make agreat deal in it. 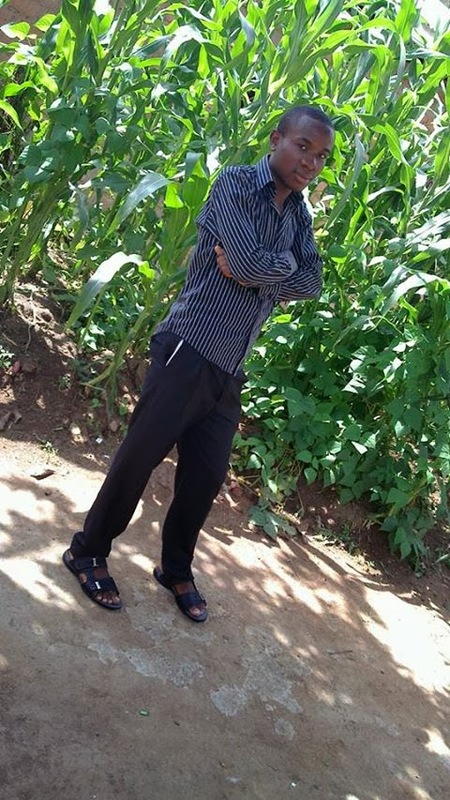 Yiyi: you are welcome mr Angu.. This si a great idea, i encoourage all to have courage and fcae life the way it comes. There is no room for crying we just need to work hard so as to smile at the end. ALSO READ THE MESSAGE OF THE CEO OF 25-45 BusinessConsulting SA.